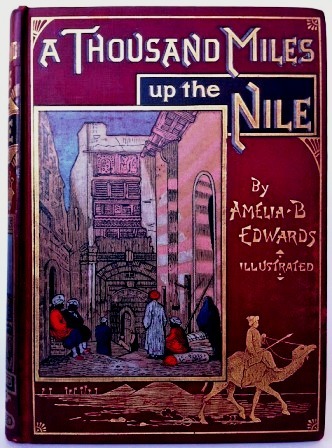 “So composite and incongruous is this body of Nile-goers, young and old, well-dressed and ill-dressed, learned and unlearned, that the new-comer’s first impulse is to inquire from what motives so many persons of dissimilar tastes and training can be led to embark upon an expedition which is, to say the least of it, very tedious, very costly, and of an altogether exceptional interest. This description by Amelia Edwards (1831-1892) from the opening pages of her great travelogue, A Thousand Miles Up the Nile (1888), in many ways held just as true when I travelled on the Nile in 1992. 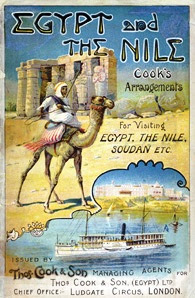 I remember scanning the deck of our boat and noted two types of tourist – those assiduously reading their books on the Pharaohs and those deeply engrossed in reading Agatha Christie’s Death on the Nile; another way of divvying them up might have been those lounging in the sun and those sitting in the equally sweltering shade. For each though, it seemed Egypt represented a land of historic romance, of nostalgic charm, each lost in their shared exotic fascination. Egyptology is a uniquely fascinating branch of archaeology. And it seems almost as if the sole purpose of the ancient civilisation which flourished for so many centuries on the banks of the Nile was purposefully orchestrated towards preserving its own immortal posterity. Obsessed with death and the afterlife they built monuments that sought to defy the marching sands of time, and, in so doing, they created a rich playground for archaeologists, scholars and scientists of all kinds of allied disciplines who in many respects have taken up that role of preserving their remains as far into eternity as science can manage. Before I travelled to Egypt I had actually been lucky enough to do some voluntary museum work which had given me some first hand experience of ancient Egyptian material culture, I’d also read a few relevant books. 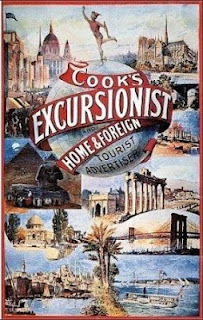 The best of which was Exploring the World of the Pharaohs (now published simply as The World of the Pharaohs) by Christine Hobson (Thames and Hudson, 1990). 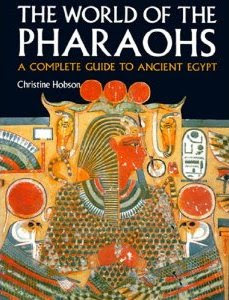 This book, as its sub-title states, is a complete guide to Ancient Egypt. It is set out rather like a textbook, with excellent illustrations – drawings, maps, photographs – and short, neatly rounded chapters, with boxed biographies of key people in the history of Egyptology in the margins of the pages directly relevant to their work. 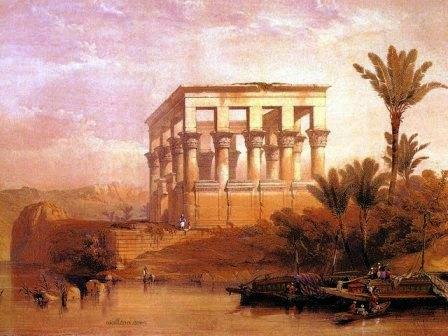 There is even a useful ‘Gazetteer’ at the end with tips for the modern day traveller, who hopefully will not have to sink their dahabiyeh in the waters of the Nile for 24 hours to rid it of vermin before setting out on their journey up river as the celebrated artist David Roberts (1796-1864) had to in 1838. 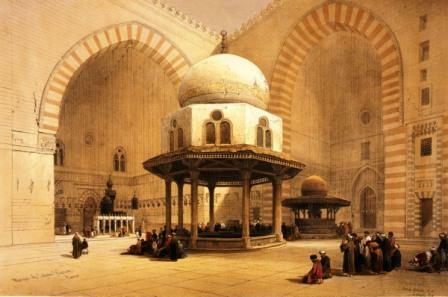 Roberts’ artworks and Edwards’ descriptions are both evocative representations of a bygone Egypt. Yet following in their footsteps, Egypt remains an equally fascinating place to explore, not least for all the many varied and amazing discoveries that have been made since they each travelled their thousand miles up and down the Nile. But Egypt is a country currently in flux with the recent revolution and the subsequent great changes in its government. 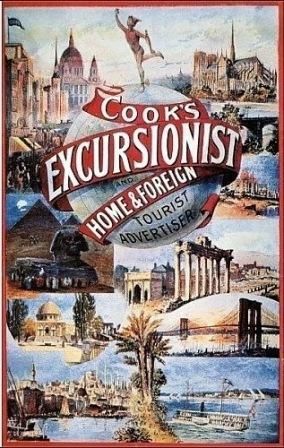 Travel and tourism however have been such great mainstays of the Egyptian economy since the days of Roberts and Edwards, I hope the country continues to capitalise on this industry and further the exploration and understanding of their ancient forbears. Whilst I was travelling in Egypt I found all the people I met open, welcoming and friendly. 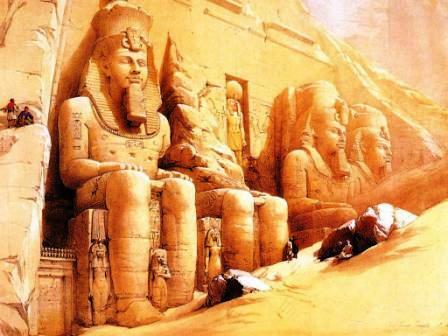 Most Egyptians seemed very proud of the great antiquity of Egyptian civilisation. And understandably so, for the past permeates the present throughout the country. 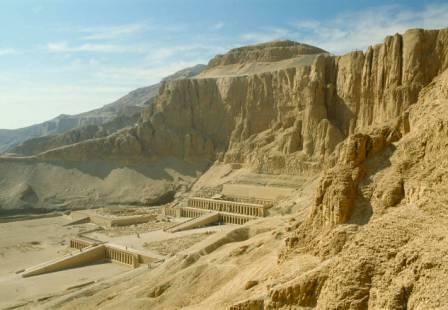 Yet only a few years after I wandered around the Temple of Hatshepsut, admiring its beautifully harmonious architecture set before a breathtaking rocky escarpment, around 60 foreign tourists and their guides were massacred by extremist gunmen. I hope that a harmonious outcome will be the lasting result of the recent elections in Egypt. I can’t help but think of the story of Caliph Omar (c.582-644) and the once magnificent Library of Alexandria – who when asked what to do with its books after Egypt first came under Muslim rule supposedly replied: “If what they contain is in accord with the Koran we have no need of them; if what they contain is not in accord with the Koran we have no need of them still. Proceed, then, and destroy them.” (see, Luciano Canfora, The Vanished Library (Vintage, 1991), Chapter XVI). It is said the scrolls were then fed into the furnaces of the heating system for the city’s baths, and it took over six months to burn them all. History is not simply a single country’s asset – it is also of relevance and instruction to the rest of the world too. We have much to learn from the people of Egypt, both past and present.